Here's a couple of views from the "library" room, previously the formal dinning room, through the new dinning room, previously known as the formal living room, to the foyer. 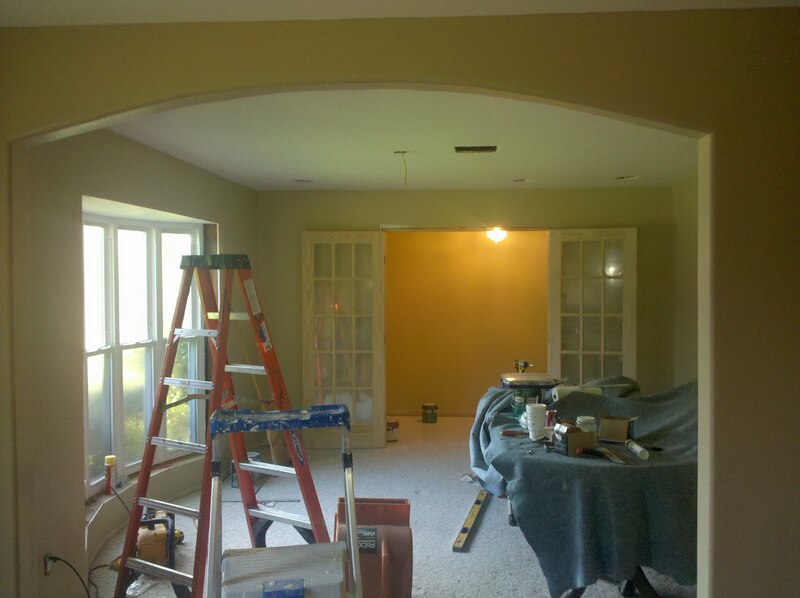 We've greatly widened the opening from the library to the dinning room and made it an arch. 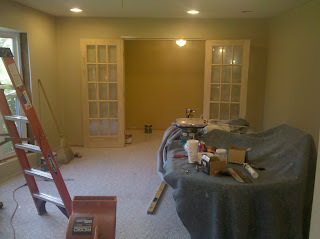 For the opening from the foyer to the dinning room we've added french doors. It's been a lot of work, but finally you can start to see what it's going to look like. It will be nice once it's finally done. 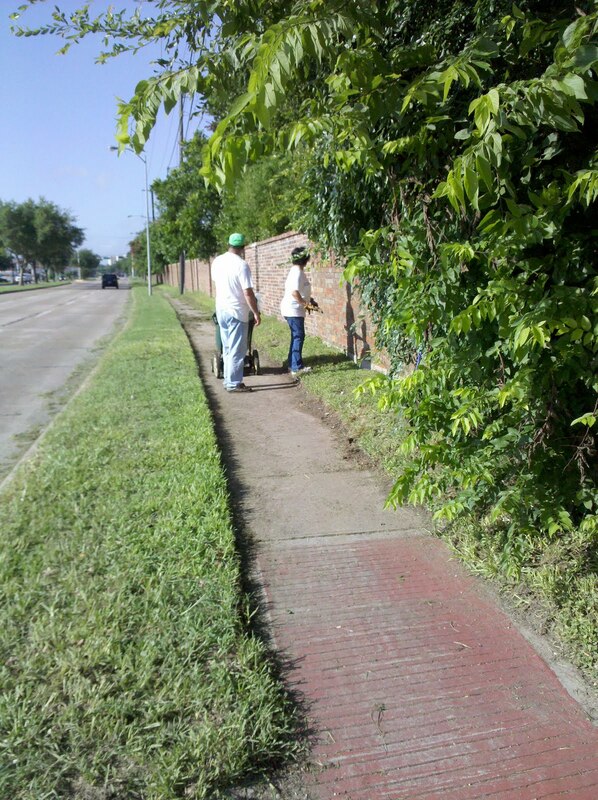 It was hard, hot, long, and dirty work, but with a few friends, it was great. Brenda and I hit the streets at around six in the morning. We were soon joined by six others. 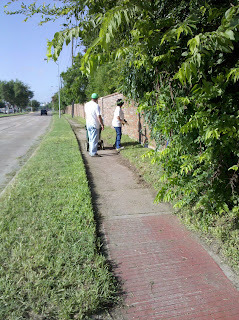 We weed eated (is that a word), edged, mowed, picked up lots of trash, shoveled, and swept up. The list of Hornwood Heroes: Dean, Roberto, Maria, Abram, Vic, and Benny. Thank you all for helping. 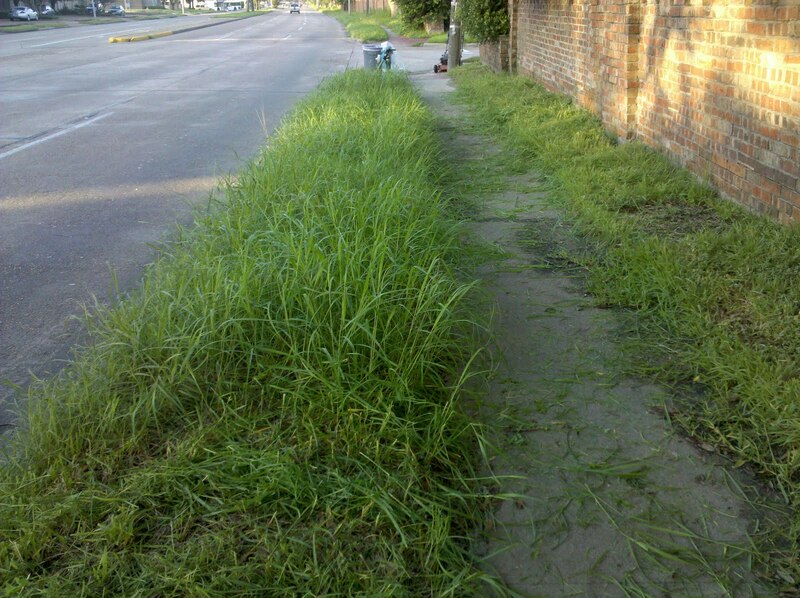 We got about half of the street mowed. Maybe next weekend we will get the rest of the street done. Maybe we'll do it on Saturday. 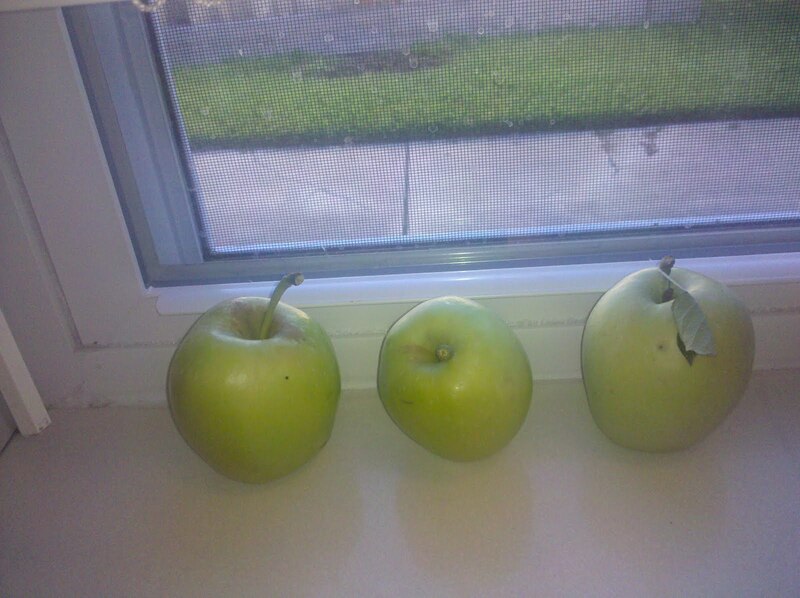 I had nine apples on my two apple trees. Six on one and three on the other. When I was down to only three, I gave up and picked the last three from the tree. Me, I got 1/3rd of the harvest, those little no good, apple stealing varmints, they got 2/3rds of the harvest. Those bunch of free loaders. 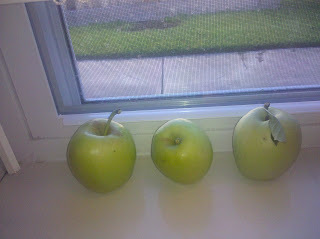 I picked them green and they are in the kitchen window ripening up.